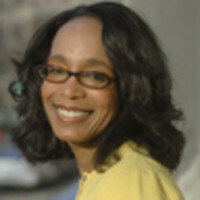 Robin Givhan is a style and culture critic based in Washington, D.C. In 1995 she became the fashion editor of The Washington Post, where she covered the news, trends, and business of the international fashion industry. She contributed to Runway Madness, No Sweat: Fashion, Free Trade and the Rights of Garment Workers and Thirty Ways of Looking at Hillary: Reflections by Women Writers. She is the author, along with the Washington Post photo staff, of Michelle: Her First Year as First Lady. In 2006 she won the Pulitzer Prize in criticism for her fashion coverage.